Since the early days of space exploration, smallsats have only been launched in small quantities — that was until recently as, starting in 2012, the number of smallsats launched rapidly increased as Spire and Planet deployed their large constellations. 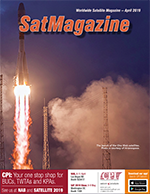 Smallsats by the Numbers 2019, Bryce Space and Technology includes data on commercial, government and academic trends from 2012 to 2018. Bryce’s smallsat report includes all satellites 600 kg. and under, launched between 2012 and 2018 (including smallsats on failed launches). Although definitions vary, 600 kg. 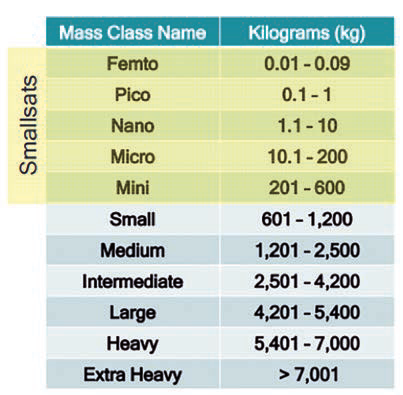 and under reflects the five smallest mass classes defined by the Federal Aviation Administration (FAA). Some of the common uses of smallsats include remote sensing, technology development, military/intelligence, communications, and science. In 2018, a total of 328 smallsats were launched. This is a slight decrease from 2017 when 338 of the smaller satellites were launched. Before 2017, there was never more than 187 smallsats launched in a single year. Both 2017 and 2018 shattered the previous records by more than 100 satellites. A majority of the satellites (254) launched in 2018 were used for remote sensing or technology development. 2018 was a banner year for launch with the most orbital launches since 1990. 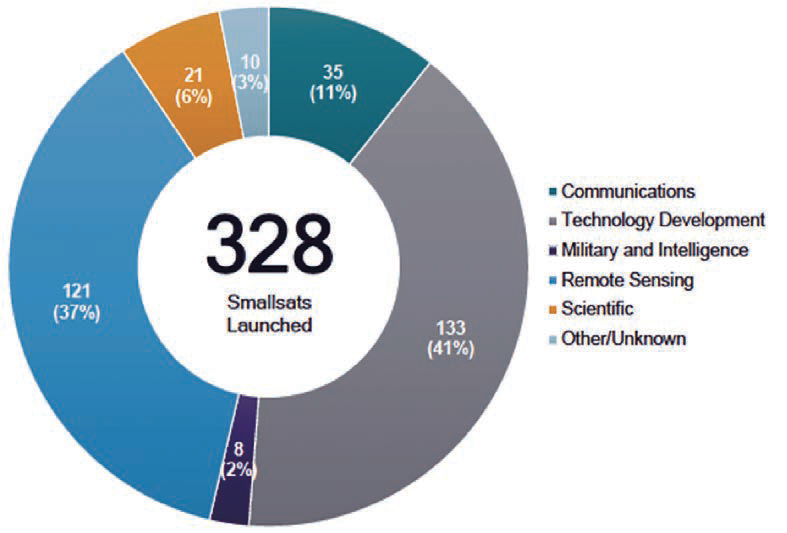 Of the 114 orbital launches in 2018, 43 percent of them carried smallsats. Commercial operators are responsible for a large percentage of the smallsats that have been launched since 2012. 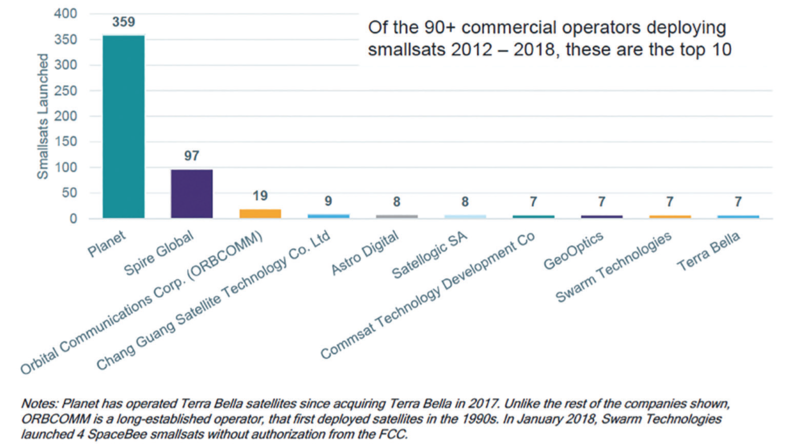 Almost 50 percent of all smallsats launched during the 2012 to 2018 timeframe are operated by commercial companies. As of this writing, two companies, Planet and Spire, are responsible for nearly two-thirds of all commercial smallsat launches. In total, 663 commercials smallsats have been launched during the last seven years. In 2018, Planet launched almost 40 satellites, which is a huge decline from 2017, when almost 150 Planet smallsats were launched. Since completing “Mission 1” in Fall 2017, Planet has continued to expand their product offerings using its satellite data. Generally speaking, Planet’s satellites have a three-year lifespan. Assuming Planet plans to replenish their constellation, the expectation is that there will be an increase of Planet satellites launching in 2019 and 2020 as they replace satellites launched in their original constellation. Planet’s constellation is the largest remote sensing constellation in the world. Because of Planet and Spire, remote sensing is the most common use for commercial smallsats (80 percent), followed by technology development (11 percent) and communications (8 percent). Figure 1. FAA Launch Mass Classes. Source: FAA AST. Since 2012, almost 300 government smallsats have been launched. The United States leads with 120 government smallsats launched, followed by China (44) and Russia (43). Civil and military organizations from 35 countries have smallsats, most of which operate three or fewer satellites. A majority of the satellites launched by government organizations are used for technology development, remote sensing as well as scientific observations. While smallsats have almost been exclusively used in Earth orbit, in 2018 NASA successfully used its MarCO A and MarCO B CubeSats for a deep space mission. The MarCO cubesats were launched to support NASA’s InSight mission, which landed on Mars in November of 2018. The success of these missions may result in further smallsat use in deep space. Plans have been announced for several deep space smallsat missions including 13 CubeSats that will make observations of the Moon on NASA’s EM-1 mission. Similar to government smallsats, most academic and non-profit smallsats are used for technology development. Each year, dozens of new academic and non-profit organizations launch satellites for the first time. The number of academic and non-profit organizations that manufacture and operate smallsats nearly quadrupled from 2012 to 2018. The Kyushu Institute of Technology in Japan has propelled the most academic smallsats to orbit, with 13 satellites launched in the past seven years. Most academic and non-profit organizations have launched only one or two smallsats. Over 370 academic and on-profit smallsats have been launched since 2012, with 80 percent of these smallsats classified as CubeSats. CubeSats are a smallsat that are comprised of 10×10×10 centimeter cubic units. 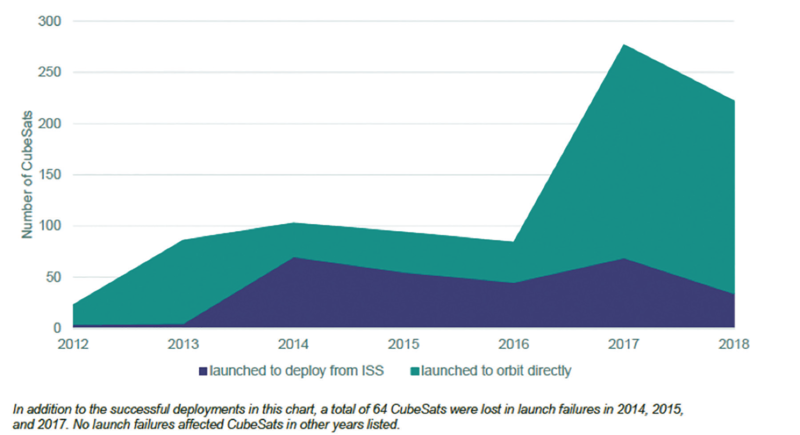 More than 70 percent of smallsats launched are CubeSats, making them by far the most common type of smallsat. Since 2012, CubeSats have been either launched to orbit directly or deployed from the International Space Station (ISS). 2017 was a record year for CubeSats, with over 292 satellites launched. CubeSats have, and continue to be, an attractive technology for student and university programs, given their relative accessibility and affordability. The recent launch of the first satellites of the OneWeb constellations may initiate a major phase of communication-focused smallsats. OneWeb, SpaceX, Telesat, and others have plans for “mega-constellations” of smallsats. 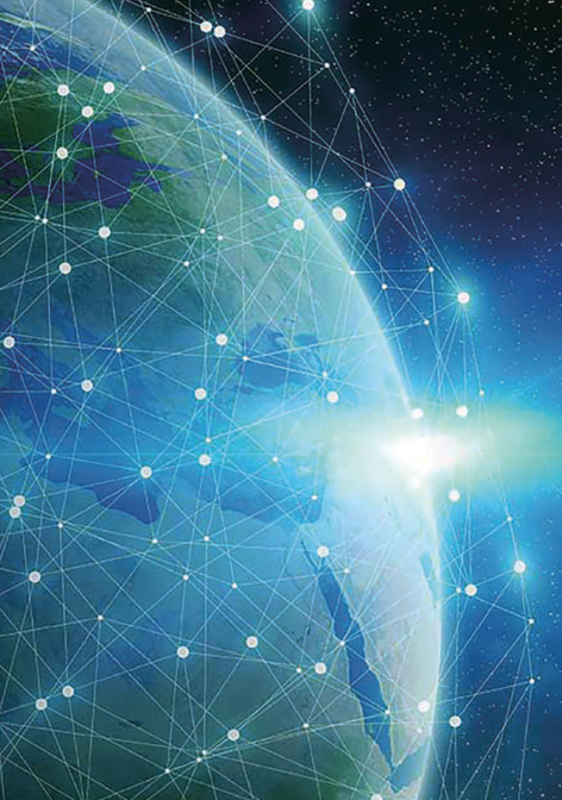 Currently, communication satellites comprise a small percentage of smallsats (approximately 7 percent); however, the deployment of large internet constellations could significantly change the make-up of on-orbit smallsat. These plans and their eventually successes remain to be seen. There is also increased interest in smallsats by the U.S. military, with the Defense Advanced Research Projects Agency (DARPA) making recent announcements of demonstration missions under the Blackjack and Casino programs. Smallsats provide the potential for more resilient space infrastructure for all types of operators. More than 20 smallsats have been launched in 2019, as of the time of this writing. Several companies, including OneWeb, Planet, Spire, Satellogic SA, and Astrocast SA, have either successfully launched, or plan to launch, additional smallsats during the year. Additionally, Virginia Space, in partnership with Northrop Grumman, Twiggs Space Lab and NASA Wallops will be launching extremely low profile ThinSats that will allow student teams to perform experiments on-orbit. Innovation by commercial, government, academic and non-profit organizations will ensure that 2019 is another exciting year for smallsats!. Tara Halt is an Aerospace Analyst at Bryce Space and Technology, where she supports commercial and government clients, including NASA. Ms. Halt graduated from The George Washington University with a Master’s in International Science and Technology Policy with a focus on Space Policy. She also has a Bachelor of Science in Commercial Space Operations from Embry-Riddle Aeronautical University. Ms. Halt is an active member of the Space Generation Advisory Council.